Do you want to see testimonies like this in your family, church and community? Least churched county in the US in 2006 sees congregations multiply from 105 to 180 in six years after employing this strategy. ​ In 2007 one church reported adding 1000 in just seven months. A drought was broken in Kansas in 2009 during the first few days the strategy was launched with more rain in one day than in previous 7 years. Five months later their harvest was so large they asked for help storing grain from 2 other states. County Commissioner reports they're suffering the worst whooping cough epidemic in the state. Requests prayer! Cases decline dramatically from over 1000 to zero in 6 weeks in 2011. Leaders from over 38 nations and 10,000+ churches and ministries have reported using this strategy to unite the Church to pray and impact their community in all 7 spheres of society. They've also reported the launch of 31 prayer centers and many more church plants which was the product of the continual corporate prayer. From Lahore Pakistan to Gainseville FL, to Kissi Kenya, to Houston TX, to Billakurru India, to Wassilla AK, to Kalaymyo Myanmar church leaders have reported using this strategy to unite the Churhc to pray and transform their community through the gospel of the kingdom of our Lord Jesus Christ. This strategy is a FORCE MULTIPLIER! To learn how you can be equipped to impact your community using this powerful strategy. Click the button below. This strategy is a modern application of an ancient design. It was first modeled by King David and then by every reformer in scripture. 1Church1Day was called Operation Rolling Thunder from 2004-2014. While the name has changed the underlying fundamentals remain the same. Discover the history of the 1Church1Day strategy. This book contains the most comprehensive list of testimonies we have from 2005 to 2012. Catch a vision for what Christ could do in your community. 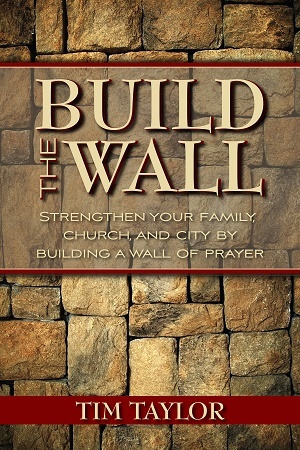 Strengthen your personal prayer life, your family, you church and city by building a wall of prayer. This book is foundational for anyone desiring to participate in 1Church1Day. Pastor says Sheriff Reports DUI's decreased from 11 to 1! This strategy was first presented at CONECT in the 90's (Christian Outreach Network Establishing Church-wide Teamwork), ORT (Operation Rolling Thunder) from 2004 until 2014 and now 1Church1Day. In 2008 there were 5 prayer centers launched through ORT. By 2011 there were more than 31 reported plus 40 church plants. The video below shows one of the 1st five prayer centers launched in 2008. It is MT Horeb Prayer Center in Burma/Myanmar. They had a vision for this prayer center for 20 years. This strategy helped unite 7 denominations as they collaborated together to build this house of prayer. 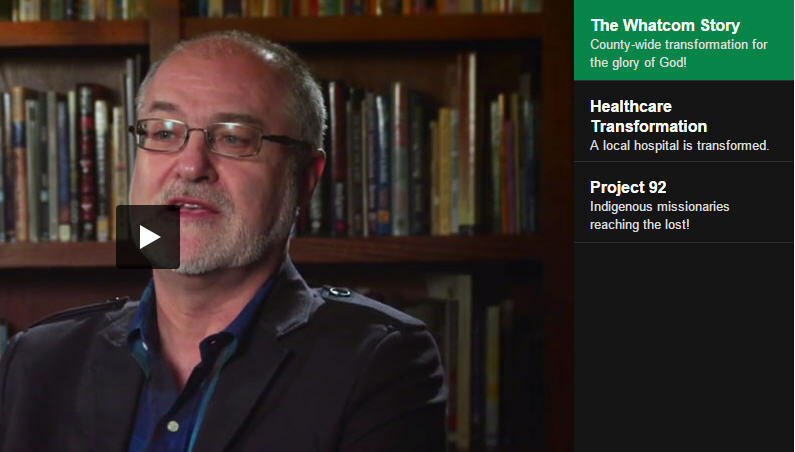 ​The pastor of the Foursquare Church in Port Townsend, a small community on a peninsula, in 2011 reported that they'd contacted the sheriff to discover how they could pray for their community. The previous Christmas holiday was marked by 11 Driving Under the Influence (DUI) citations. They mobilized churches to pray. The police chief was shocked as DUI's went from 11 to 1 over the same time period in one year. Operation Rolling Thunder was 1Church1Day and 1Church1Day is Operation Rolling Thunder (2004-2014) which was formerly called CONECT (Christian Outreach Network Establishing Church-Wide Teamwork) from 1992 to 2004. Click here for some ORT Testimonies from 2005-2013.